HMD Global has now brought from the dead, the beloved Nokia Camera UI which was found in the Nokia Camera/ Lumia Camera app on the Windows platform. Speculations had been rift ever since it was leaked that HMD has acquired certain patents from Microsoft and that the Lumia Camera UI was one of them. So HMD has now put all the speculations to rest and made the official announcement regarding the matter. In the days when Nokia used to make Windows phone, in partnership with Zeiss of made some of the best mobile cameras in the market. All of this was possible thanks to the continued development by both the companies in various fields. 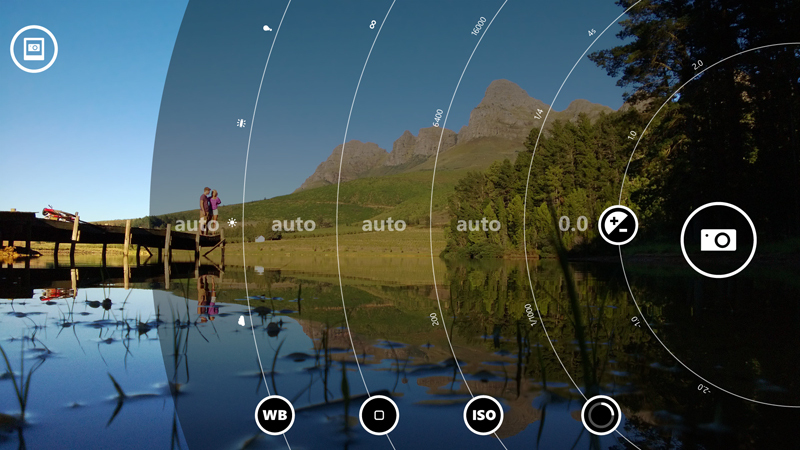 The Nokia Camera app is also Palit responsible for helping those devices take gorgeous photographs. The app gave professional level manual controls to the users. The functionality that the app gave at that time is something that began appearing on other manufacturers devices not long ago. When the Nokia 8 was released last year, the lack of the manual controls in the camera app was deeply felt. And the camera proved to be a terrible one and even the Carl Zeiss sensors couldn’t save its humiliation at the hands of DxOMark. But there’s always time to rectify blunders made in the past. And to do so, HMD Global at the MWC announced the return of the Nokia Camera Pro app. Though there is no exact release date it, but it is speculated that it may release in time with the release of the upcoming batch of Nokia phones. The new app has slightly tweaked appearance with the dark navigation bars present only at the bottom, which earlier used to be at both the top and the bottom. There are minute improvements in the icons department also and the placement of some features have been altered to make them more easily accessible. Other than time, the rest of the app is mostly same. The radial may is back with options to adjust the white balance, focus, ISO, Shutter speed and exposure and see the results instantly on the screen even before the picture is clicked. As announced all the Nokia devices worth Zeiss Optics lens would be getting the UI including the earlier Nokia 8.